Can I Build a Swimming Pool in Canada? While a good blog post piques the reader’s interest before the “big reveal,” let’s cut right to the chase here and answer the question in the title: Yes. Absolutely. You can build a swimming pool in Canada. Although the average monthly temperatures in Canada are significantly lower than those in most parts of the U.S., there is certainly still a “pool season.” And there are definitely pools that can withstand the fairly long, fairly cold Canadian winters. But, there is no denying that the cold weather is a factor. And certain swimming pools are much better suited for it. While there are many factors to consider when buying a pool, first and foremost should be its appropriateness for the environment where it will be installed. 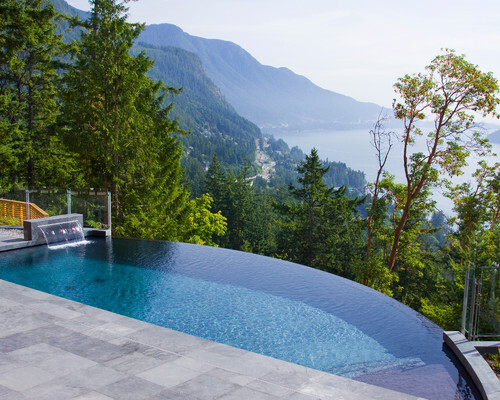 Here’s a countdown of the best types of pools to build in Canada. Cement or gunite pools are the most time-consuming and most expensive to install. And, they are the least optimal for use in cold climates. That said, they can still be built in Canada, but they require a great deal of attention — and especially careful winterizing — in order stay in good working order. Cracking is not uncommon, and can require acid washing and replastering. Steel wall pools are similar to polymer wall pools. They have a steel structure that supports a vinyl liner. The steel frame is strong and fairly resistant to the environment. And while the liner will eventually have to be replaced, it will never crack or need repainting or replastering. Polymer wall pools are, along with steel wall swimming pools, referred to as “package pools” because you pick the features that are used to create your own unique design. The all-resin structural polymer is designed for strength and durability, but it also has a degree of “give” which allows it to flex in response to environmental changes. And the vinyl liner in the pool is highly flexible and will not crack. Fiberglass swimming pools are the best choice for cold climates. They are designed as one-piece inserts that can be installed in your backyard quickly and efficiently, which is helpful when the summer building season is short. And the flexural strength of fiberglass makes it very resistant to cracking even with repeated freezing/thawing cycles. 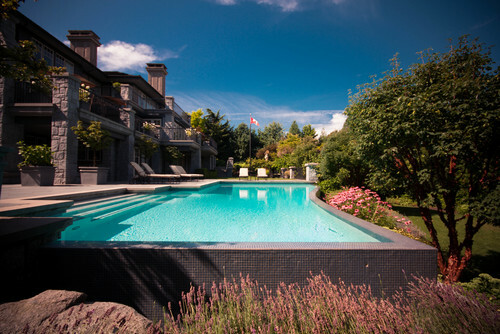 Consequently, fiberglass pools are perfect for homes in Canada. In fact, fiberglass is a natural insulator so pools constructed from it require less energy to heat. While there are plenty of articles online about pools and cold climates, the best source of information is the pool experts at Latham Pool Products. We’ve helped customers throughout the U.S. and Canada pick the perfect pool for their requirements. Let us know if we can assist with your project. Tara Kar is the Sales & Marketing Coordinator for Latham’s Canadian Division. Born and raised in one of the country’s most vibrant cities, she realized her passion for anything creative at a young age. From the dramatic arts, to backyard party planning, to Sunday cake decorating, her passion for creating is her driving focus. Recently married, her husband and herself enjoy quality time in their home, which they are renovating to include - you guessed it a pool!